Today let’s talk about local cheese. Cheese like Shepherd’s Manor Creamery Ewe Cream Cheese. Which you can find in many farmer’s markets and at Friends and Farms, where we discovered it. The dairy is in New Windsor MD. I love sheep’s milk cheese, and also goat’s milk cheese as they work for us lactose intolerant people. Olney on Sundays is the closest farmer’s market where you can get this cheese. Let’s move to Firefly Farms and Cherry Glen. Outstanding goat’s milk creameries. Their cheeses vary. I love Firefly’s chevre more than Cherry Glen, but CG’s Monocacy Ash is awesome. I think we discovered Firefly at a Turf Valley Home Show, and Cherry Glen, we bought at Roots Market. Goat’s milk cheese has that tang, that slightly different taste. As for cow’s milk cheese, lots of options around here. Bowling Green is local and available at many farmer’s markets and farmstands. I really like their “feta” to put in my watermelon salad. 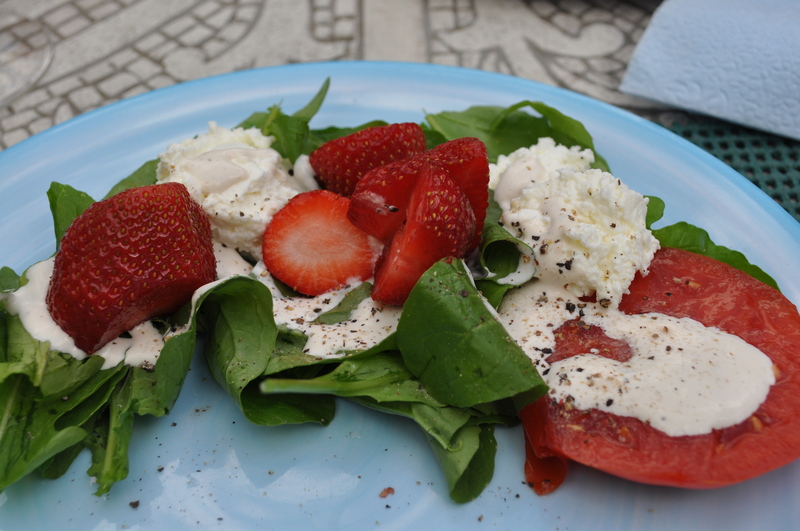 From yesterday’s post you saw a picture of a fresh mozzarella from South Mountain Creamery. There is nothing like fresh mozzarella. Only thing better than buying a local one is making it yourself from local milk. Oh, and a PA source for goat cheese. Linden Dale Farm. 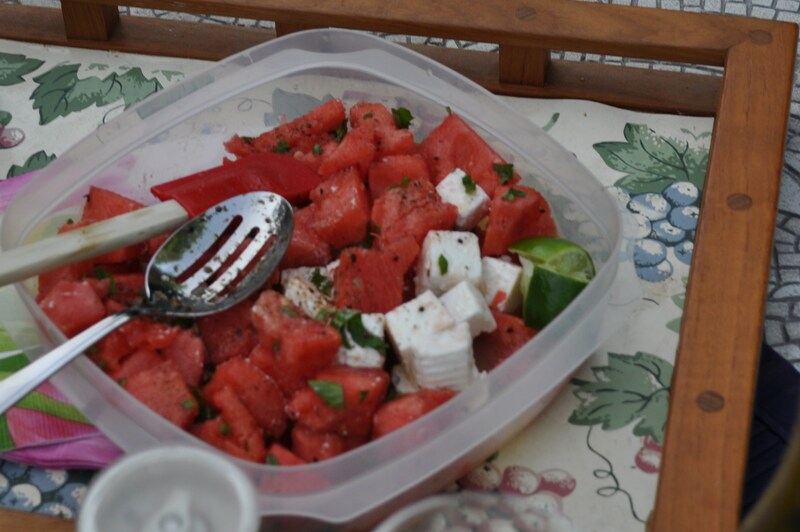 Their feta made from goat’s milk graced this watermelon salad. Hey, it’s Buy Local Days. What could be better than cheese? Tomorrow, bread to go with it. Posted in Community, Farms, Food, Friends and Farms, Real Food and tagged buy local challenge, cooking, farms, Food, Locavore, real food. Bookmark the permalink.